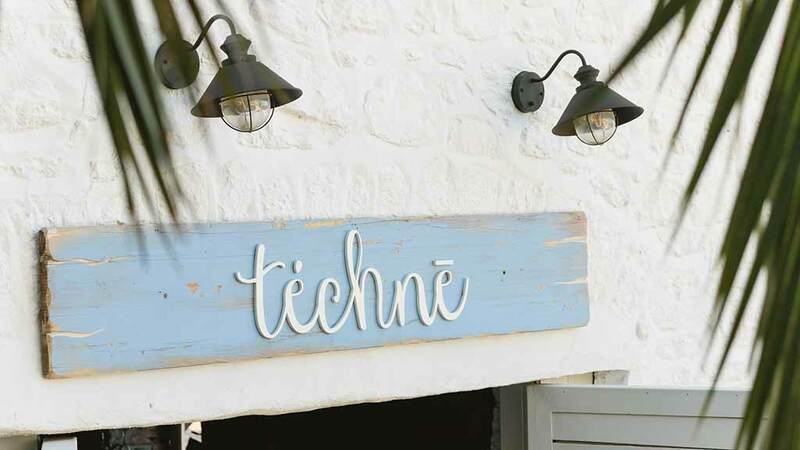 Téchnē: A term for “craftsmanship”, “skill” or “art”, etymologically derived from the Ancient Greek word τέχνη [tékʰnɛː].  Téchnē implies the combination of practical skills, systemic knowledge and inspiration in creating something or accomplishing a goal. 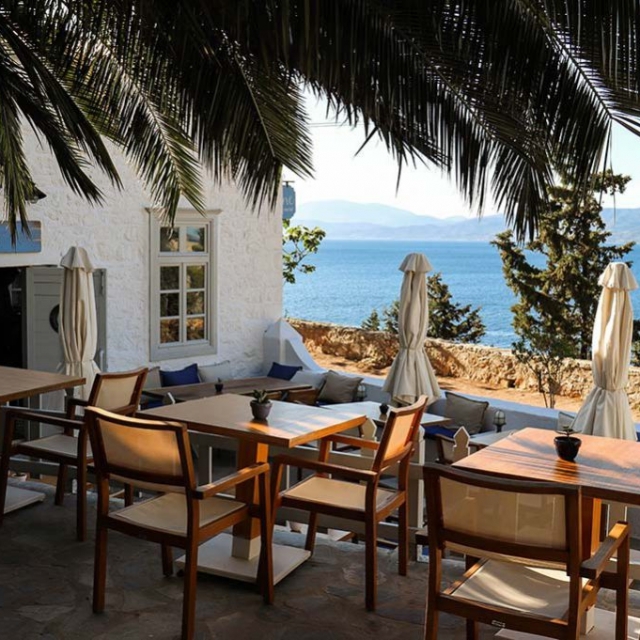 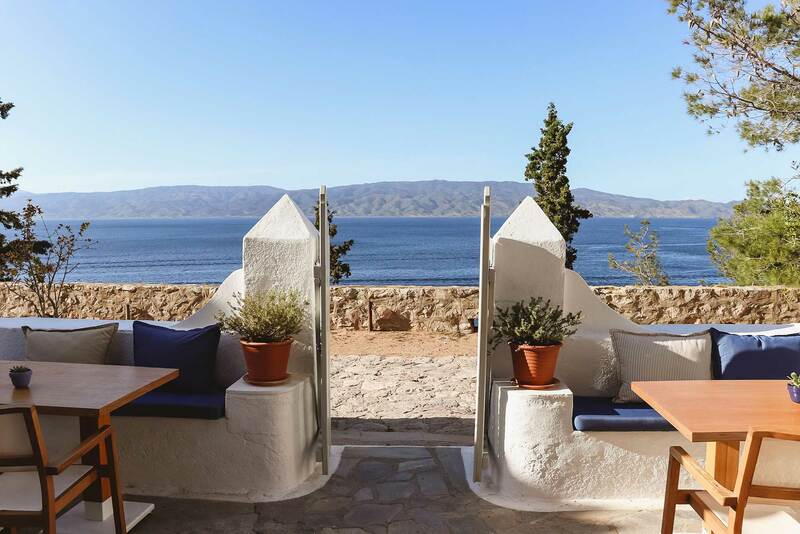 Téchnē restaurant & social was opened in early 2016 on the beautiful Greek island of Hydra by Jason Barios and Yannis Michalopoulos. 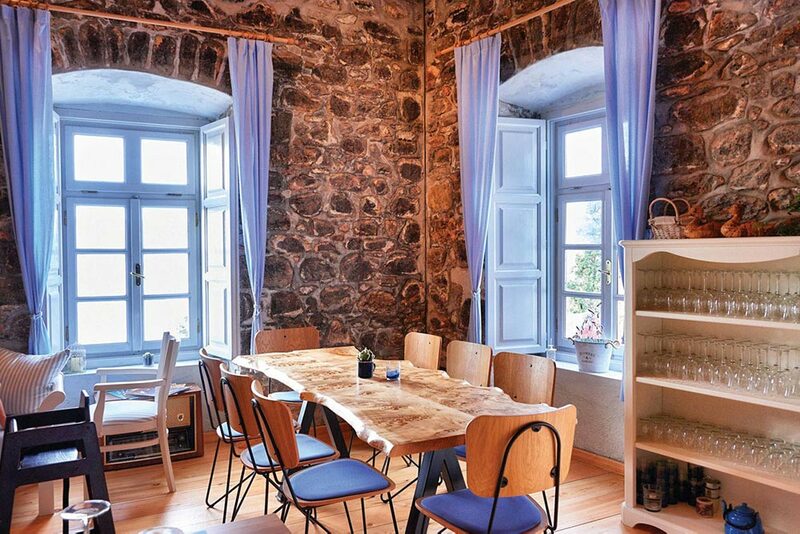 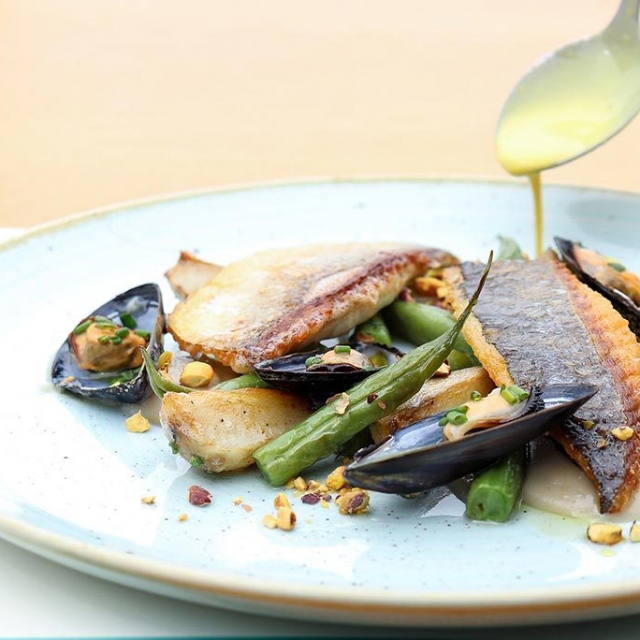 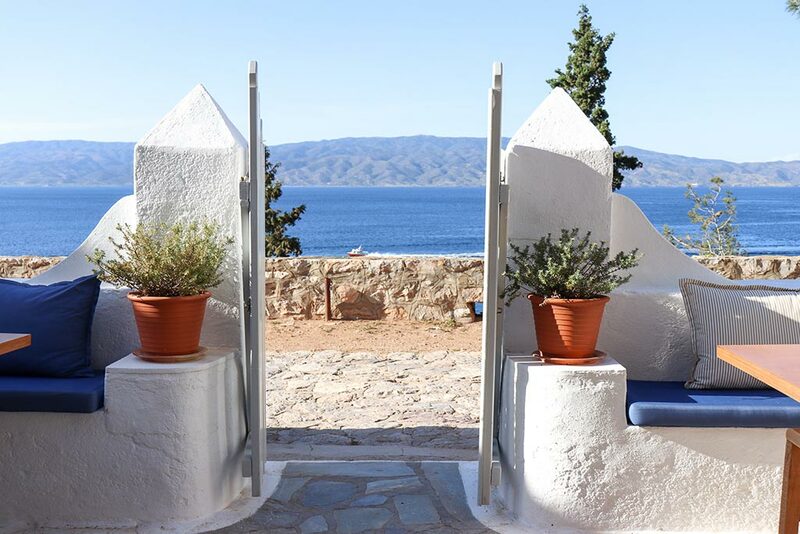 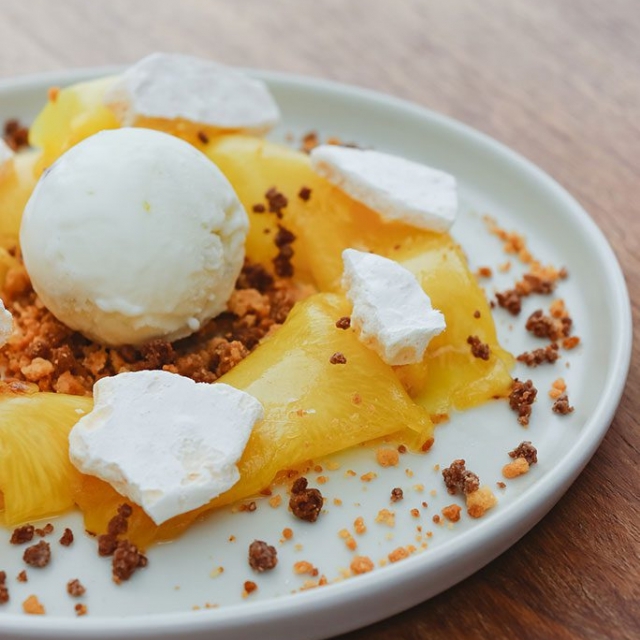 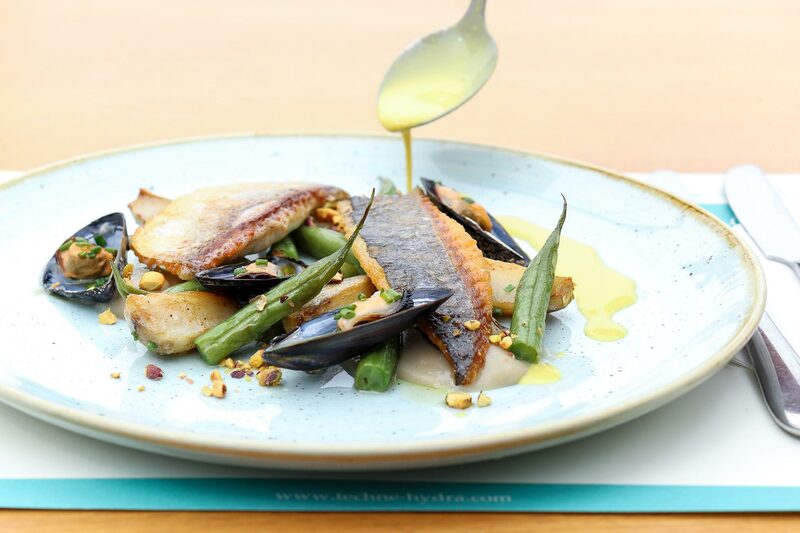 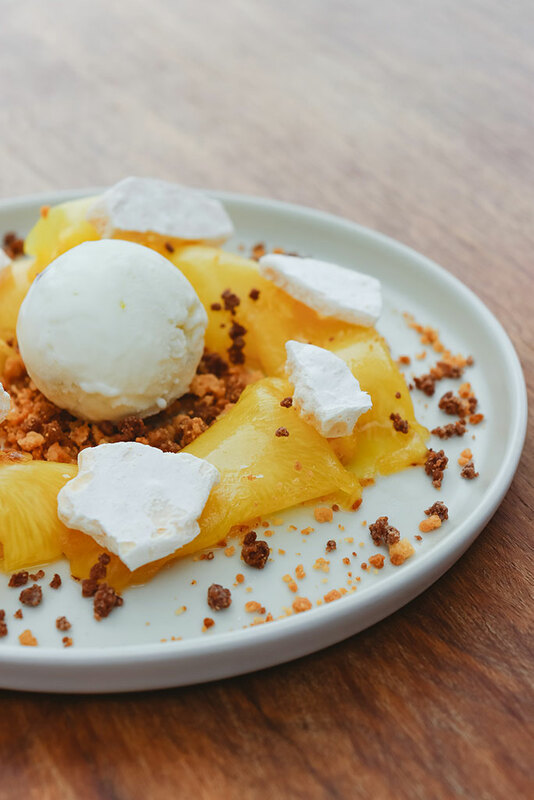 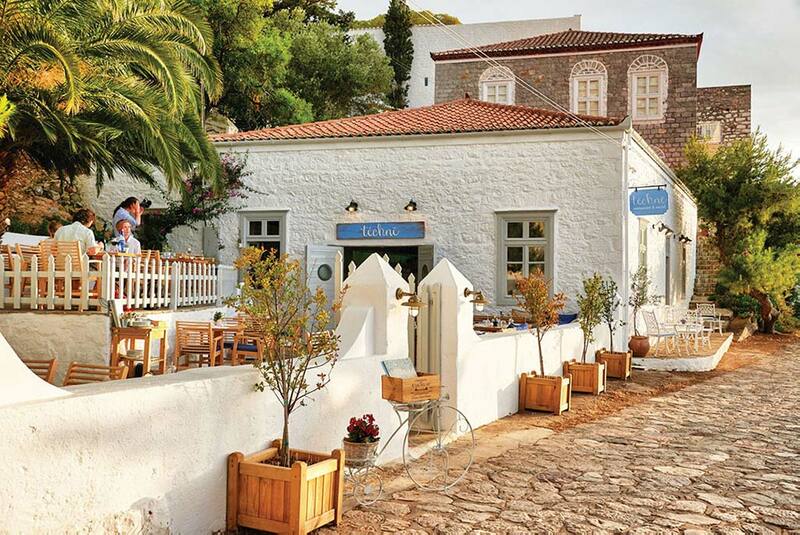 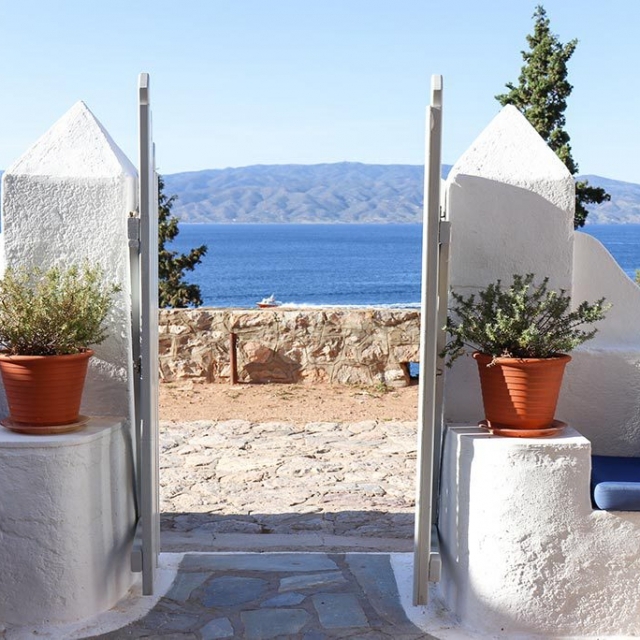 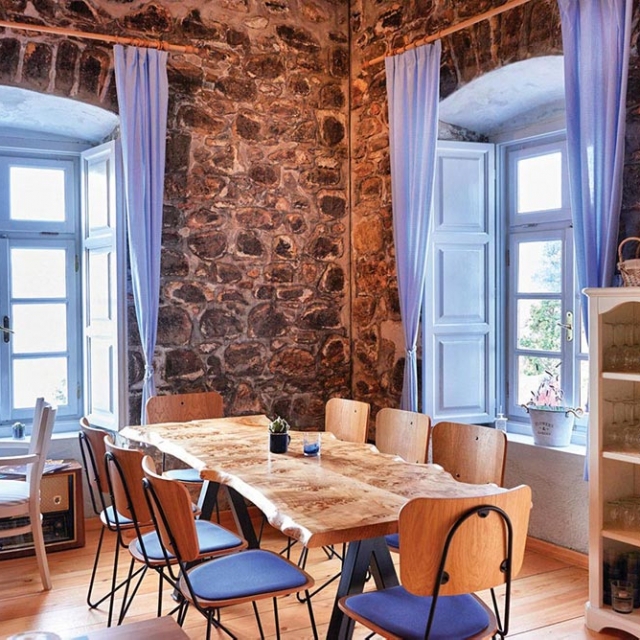 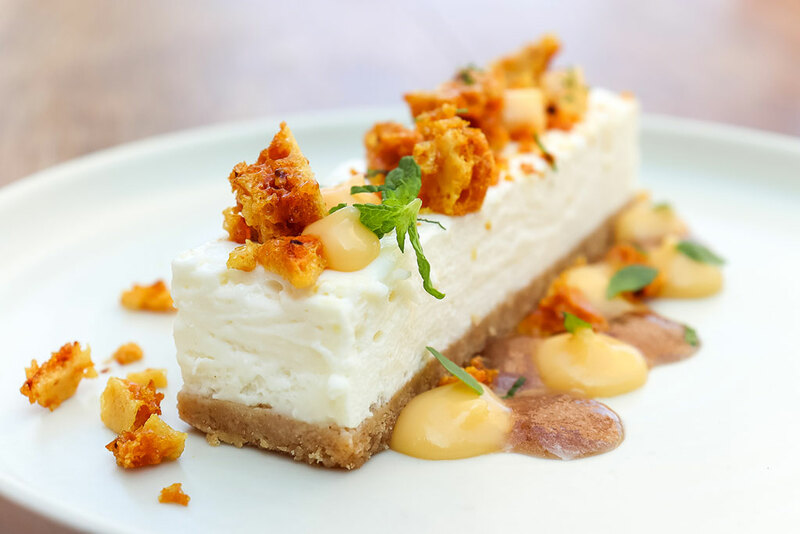 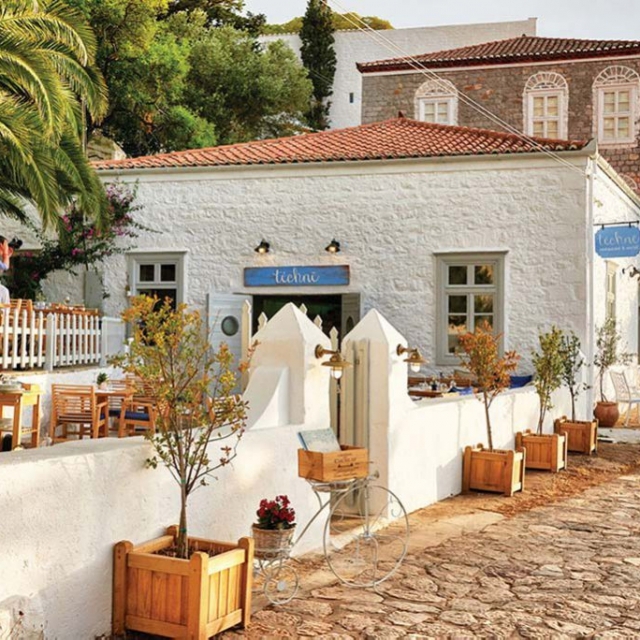 Situated by the sea in a renovated historic building with a picturesque courtyard, Téchnē serves carefully crafted dishes of modern Greek cuisine with Mediterranean influences. 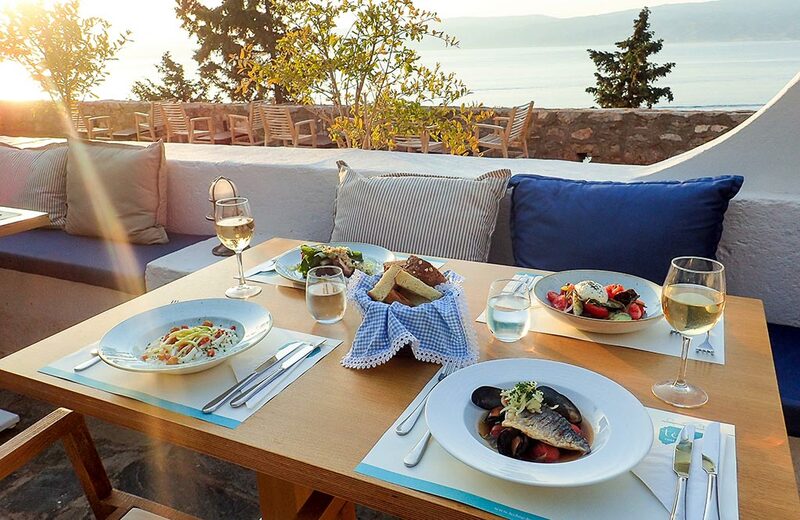 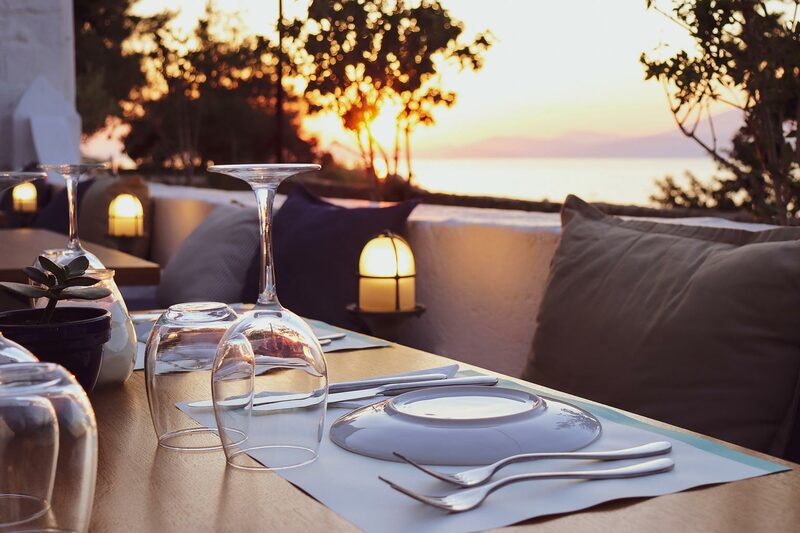 The elegant food is paired uniquely with warm hospitality, sophisticated drinks and magnificent views over the Aegean sea in a relaxed setting. 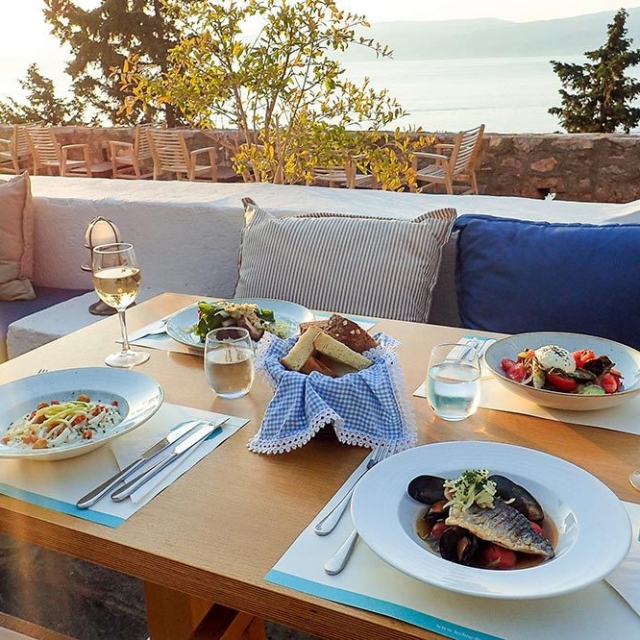 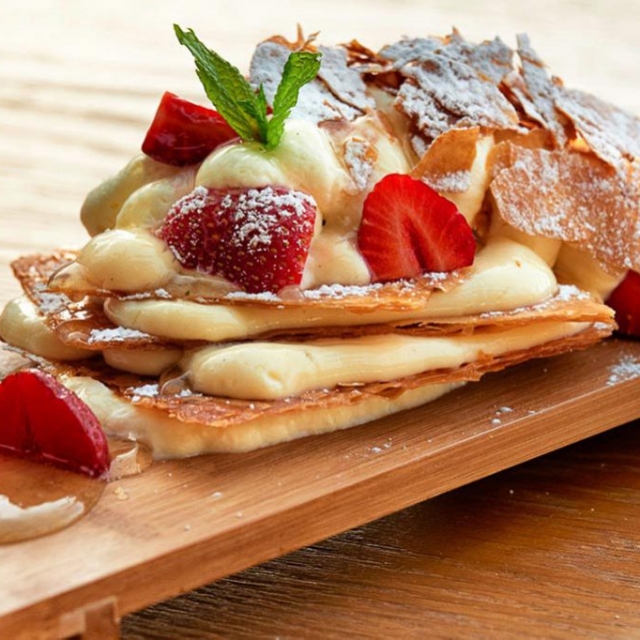 The menu at Téchnē includes artisanal dishes that highlight the finest produce sourced from different regions of Greece with an emphasis on seasonal and sustainable ingredients. 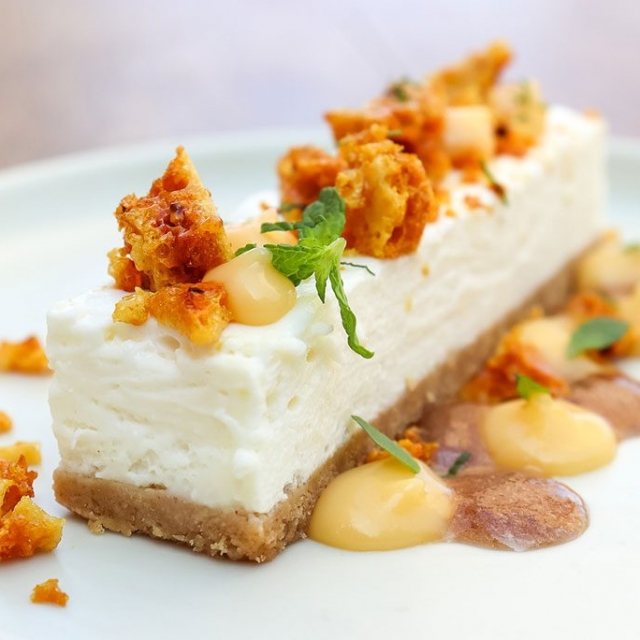 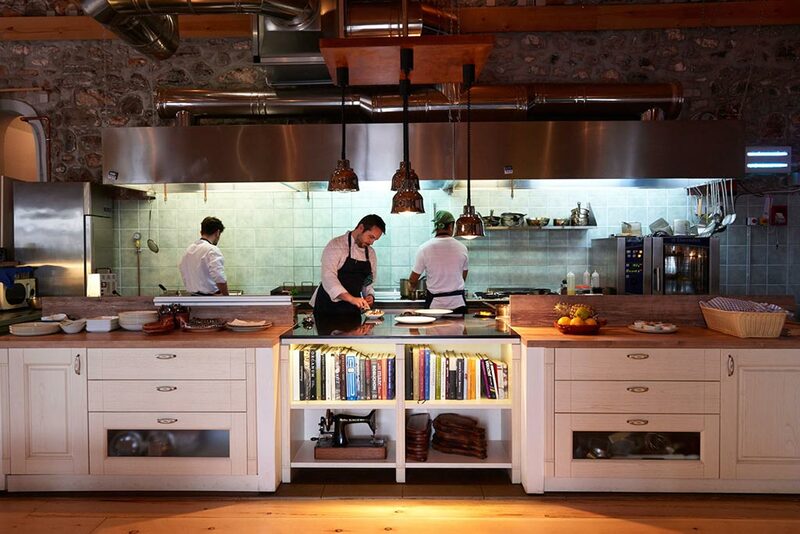 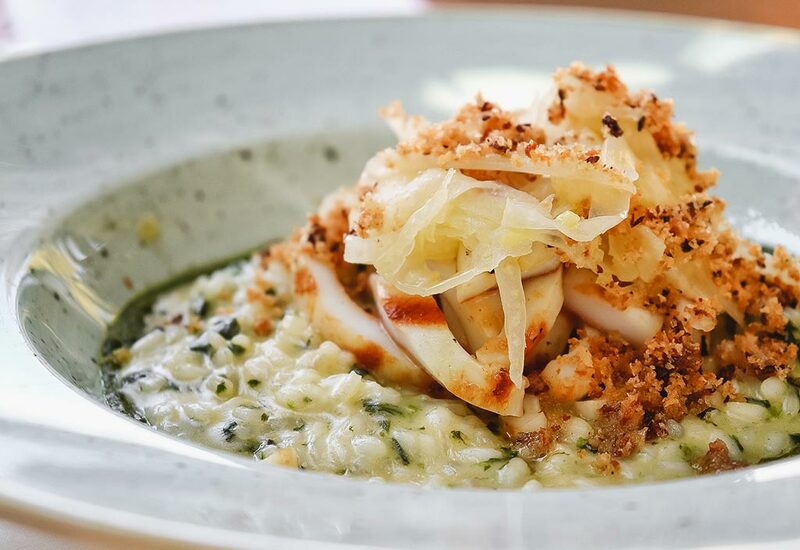 Inspired by traditional recipes, Chef Yannis Michalopoulos uses contemporary cooking techniques to deliver a unique gastronomical experience of a new Greek cuisine. 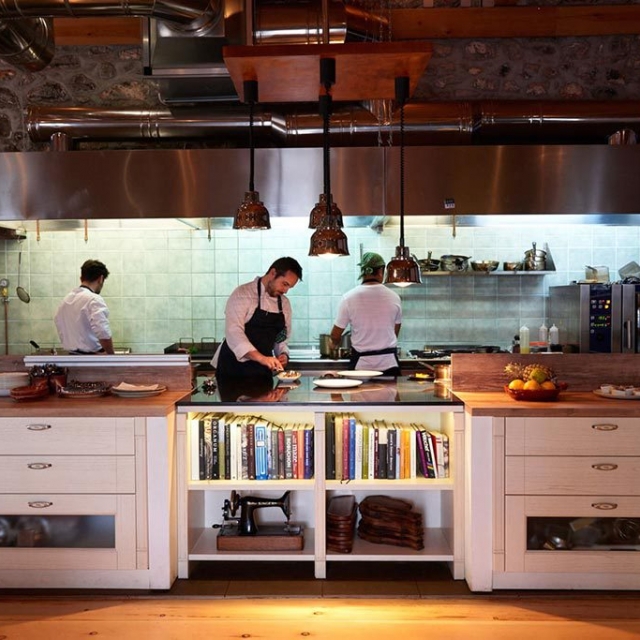 Executive chef and co-owner Yannis Michalopoulos made his first career steps in the kitchens of some of the most renowned hotels and restaurants in Greece. 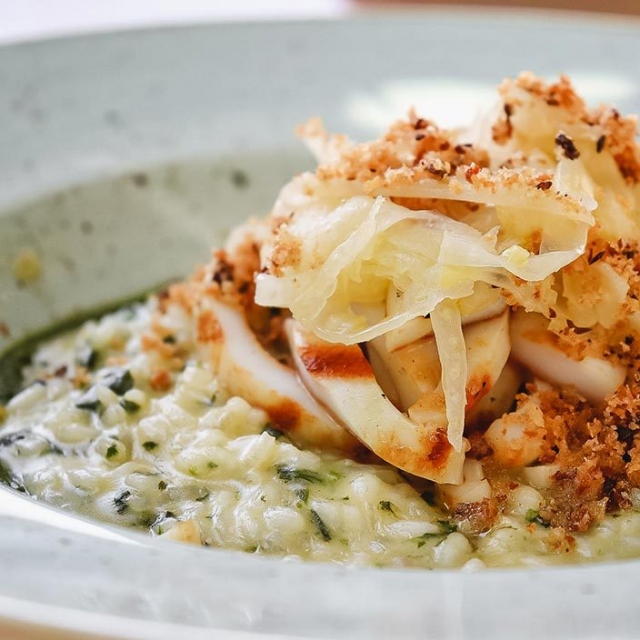 Ambitious to excel his culinary skills, in 2011 he moves to London where within a short period he manages to become the head chef of two acclaimed restaurants leading a large brigade. 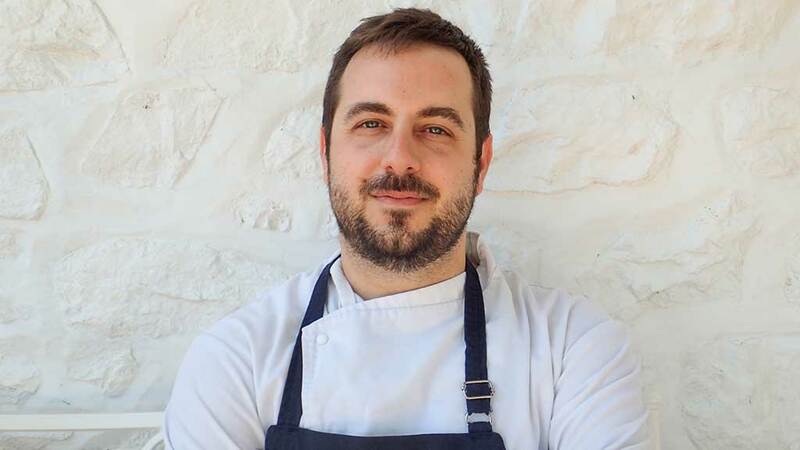 In 2016, at the age of 31, Yannis moves back to Greece to co-found Téchnē on Hydra island where he is able to express his culinary philosophy developed over the years through his cooking. 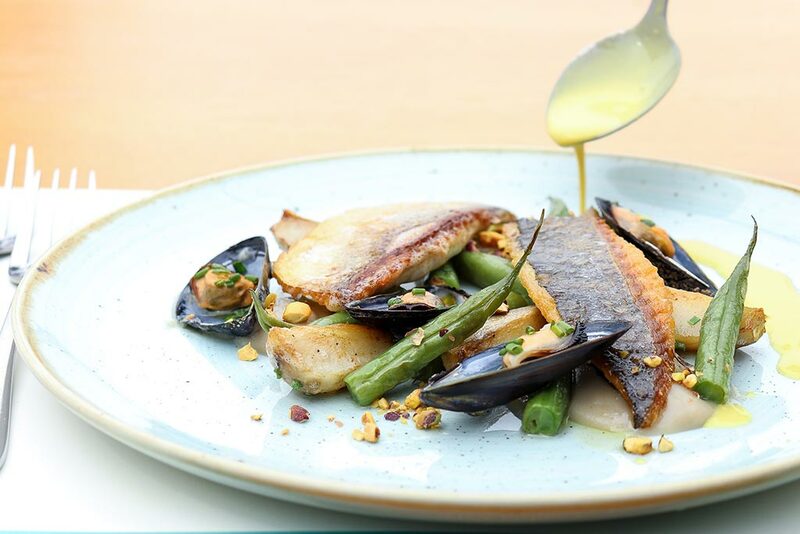 We use only the freshest, seasonal ingredients so our menus change frequently. 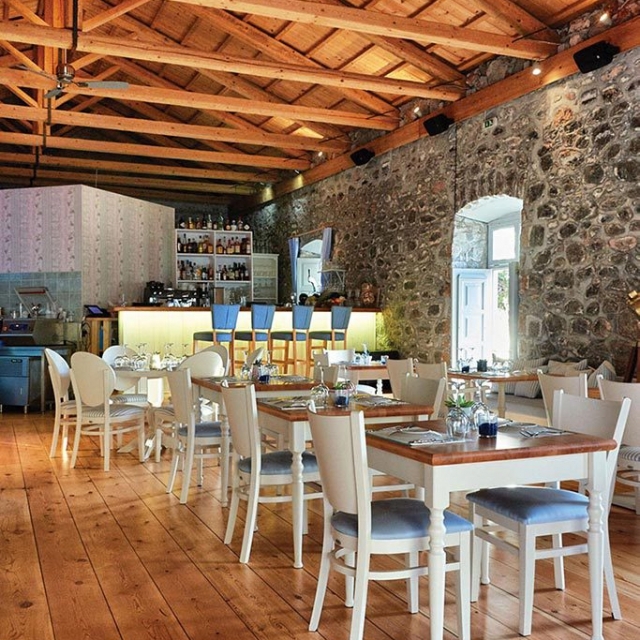 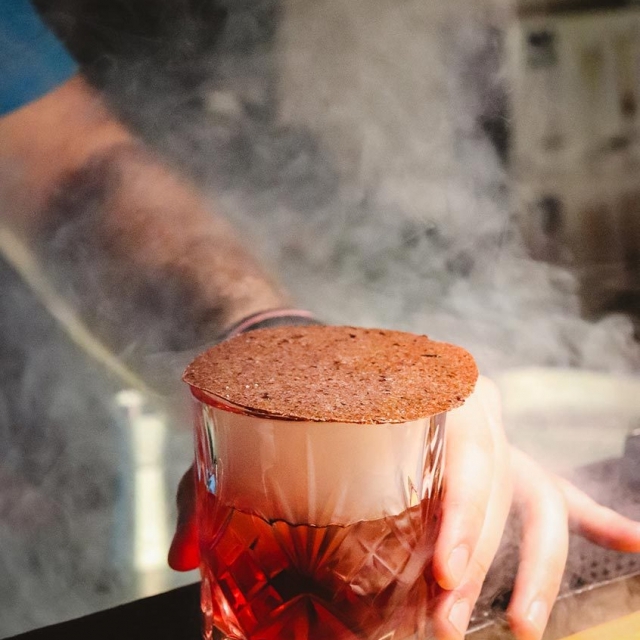 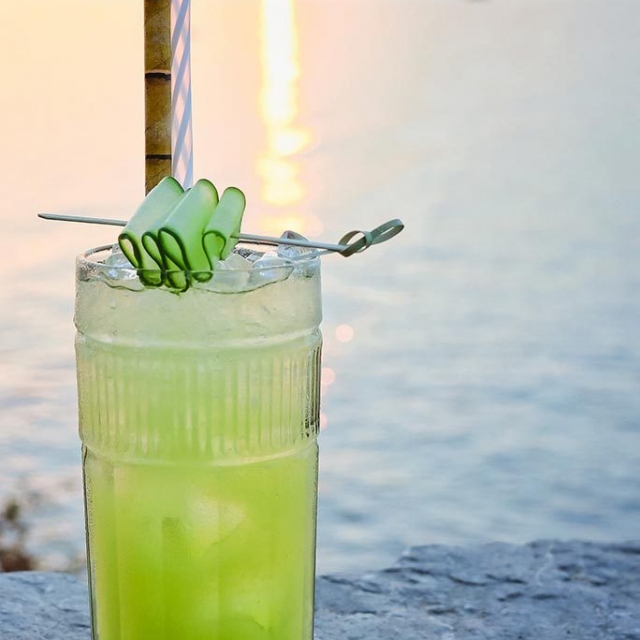 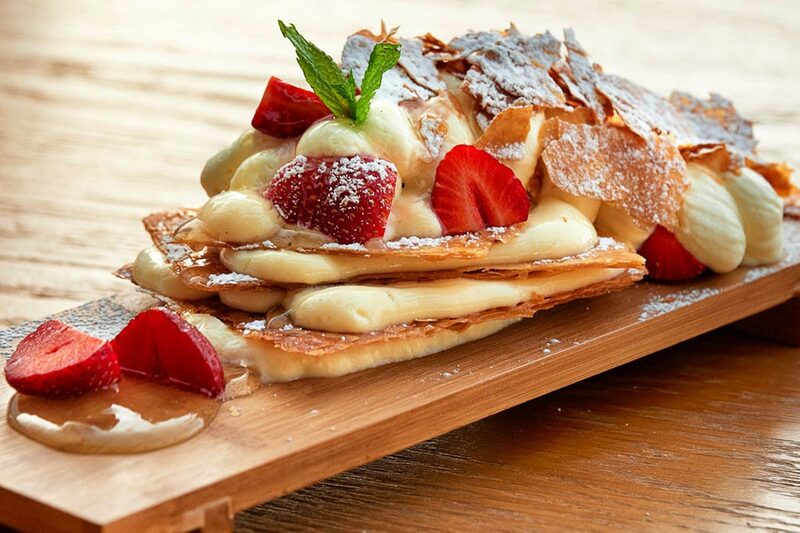 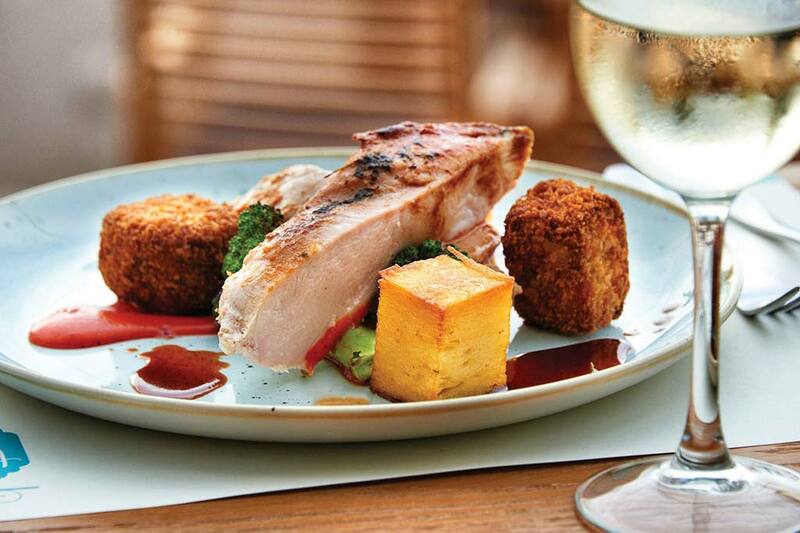 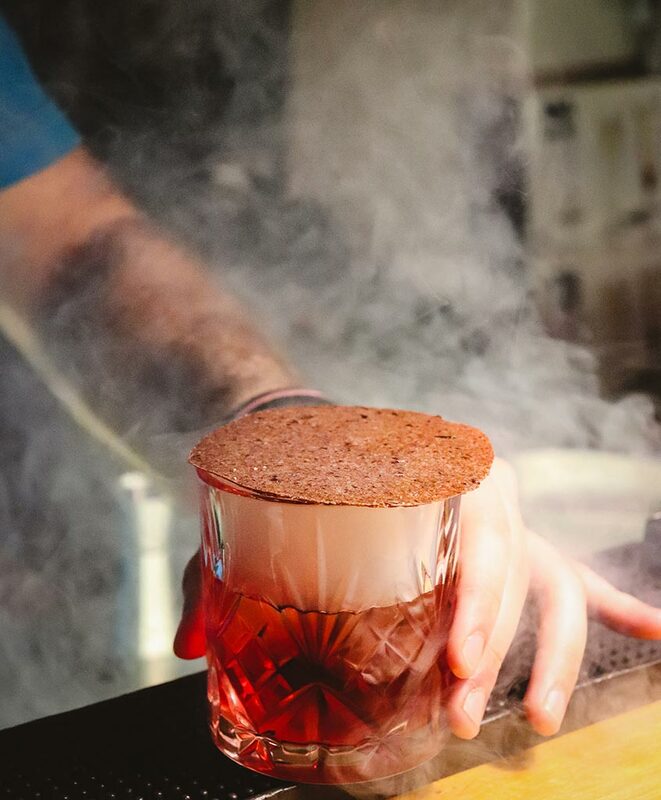 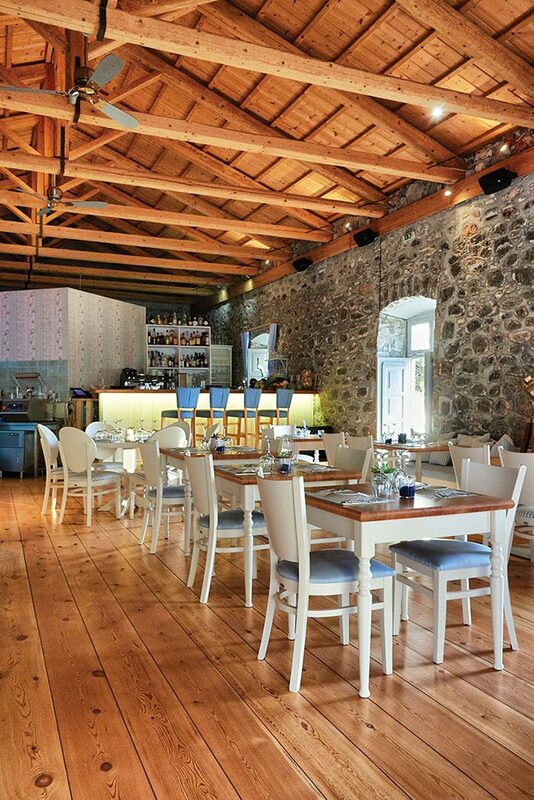 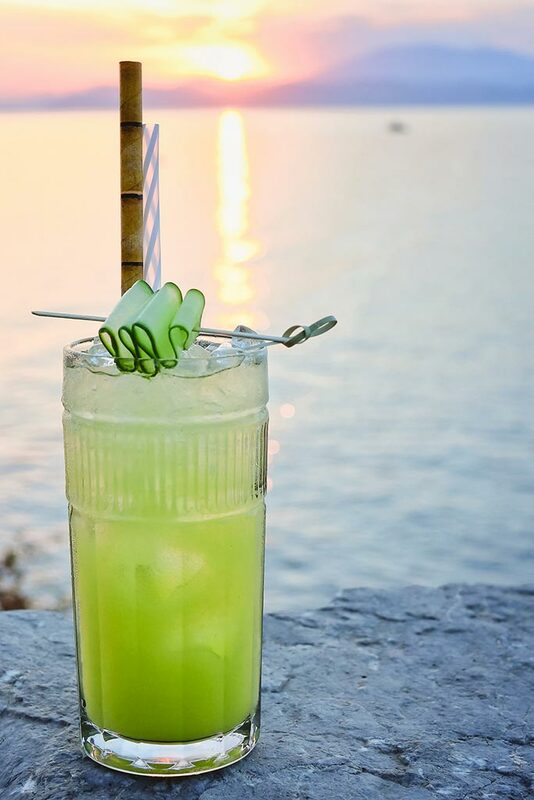 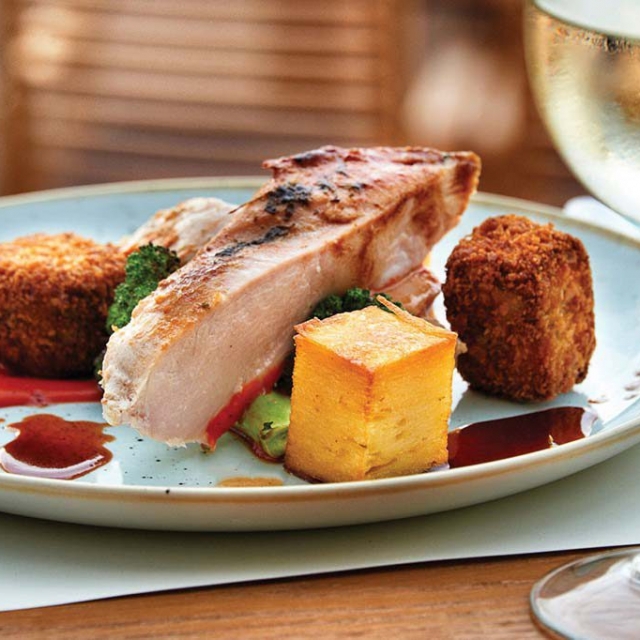 “A restaurant of alluring décor and gastronomy that has raised the island's culinary standards"
Apart from its fine cuisine, Téchnē has been popular also for its drinks menu, which includes speciality coffee, inspired signature cocktails, a sophisticated wine list and craft beers from Greek microbreweries. 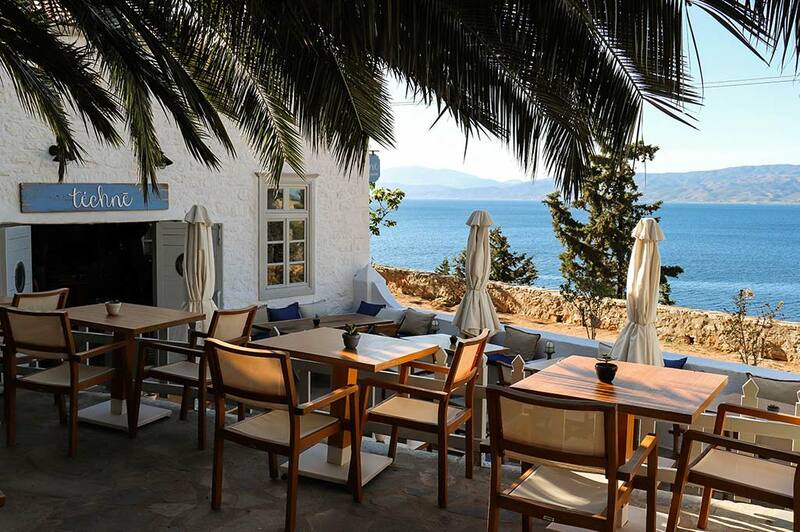 Thanks to its breath-taking sea views, Téchnē is the ideal spot for an aperitif cocktail around sunset or a relaxed coffee under the shade of the iconic palm tree in the middle of its courtyard.